The council vote to re-affirm the previously approved sale of land came after a report by Lee Hamann—of outgoing city attorney McGrath North—regarding the firm’s investigation into alleged open meetings law violations and conflict of interest concerns surrounding the city’s original purchase of land back in 2011. The investigative report was ordered by the council at its Feb. 12 meeting as part of a 5-3 vote to postpone the reconsideration of the land sale ordinance, which was originally approved in December of 2018. Following the report by Hamann—which found no open meetings law violations or conflicts of interests related to the city’s original purchase of the land back in 2011—the council voted 5-3 to approve the sale. Council members Matt Bechtel, Mark Jensen, Michael Kuhns, Mark Legband and Linda McClain voted to approve the ordinance. Council President Susan Jacobus, Brad Yerger, and Ellis voted no. The vote granted final approval of the land transaction that conveys half-interest—or 12.2 acres—of an approximately 25-acre parcel of land within the Fremont Technology Park to Dodge County for $201,300. The land sale represents an early step in efforts between the City of Fremont and Dodge County to develop a proposed Joint Law Enforcement Center on the 25-acre site. All three council members who voted against approval of the ordinance—Ellis, Jacobus, and Yerger—all expressed support for the creation of a Joint Law Enforcement Center but wanted to again continue the sale to give the public more opportunity to weigh in on the project. Council members who voted to approve the ordinance mostly focused on the sale of land as the first step in the process of attempting to develop a Joint Law Enforcement Center—a process that will require much more involvement and input from the public and the council. Getzschman also reiterated that—even with the approved sale of land— the process of developing the proposed Joint Law Enforcement Center is still far from being decided. The City Council unanimously affirmed an emergency declaration issued by Mayor Scott Getzschman due to historic flooding that occurred on March 15. The emergency declaration authorizes emergency expenditures in excess of $30,000 without advertising for bids and approval from local boards or council. The City Council approved the appointment of Adams & Sullivan law firm as the new city attorney. Adams & Sullivan will take over for previous city attorney—McGrath North law firm— which did not seek to renew its contract after serving as city attorney over the past year. 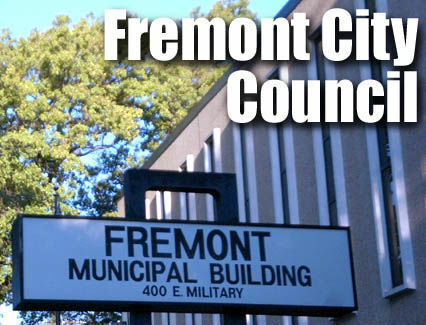 The City Council authorized city staff to execute a purchase agreement with Anderson Auto Group of Lincoln for three 2020 Ford Police Interceptor Utility vehicles to be used by the Fremont Police Department.